On Sunday, August 31, 2014, the day before school started at RDFZ, Emily Wang, an S2 student in the ICC’s AP Program, became the youngest player ever to win a China LPGA (Ladies Professional Golf Association) tournament. The victory came with a remarkable shot on the final hole of the final day. On the 18th hole of the final round, Emily holed her 3rd shot from 40 yards off the green to give her a birdie and a two-shot victory over her nearest opponent. 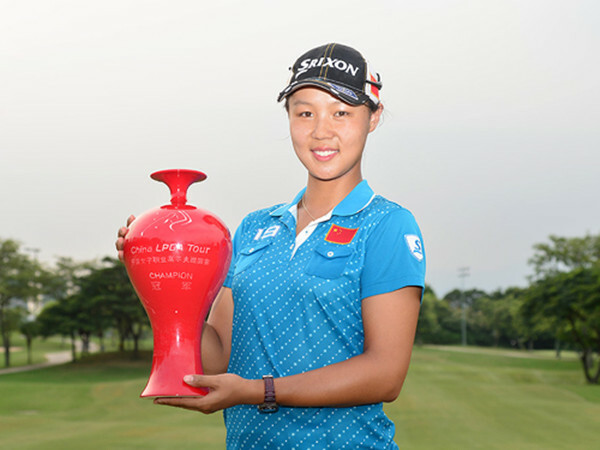 It was an historic day and tournament for Emily as it was her first China LPGA tournament win against a field of professionals, and she became the youngest champion ever of the event – or any China LPGA event. Emily worked hard throughout the summer to prepare for the big tournament and was confident she had the ability to challenge the best professional golfers in China. As she teed off on the last day, however, she knew it would be a tough fight to the finish at the Orient Xiamen Golf and Country Club. After hitting her tee shot into the woods on the 18th hole, she realized her one-stroke lead would most likely not be enough to avoid a loss, or at the very best, a play-off, but remarkably, with her miraculous 40-yard approach shot finding the hole, she pulled out the victory with a two-shot win. The crowds were ecstatic and everyone was amazed that a 16-year-old had won the championship against a field of seasoned professionals. It was a truly remarkable day for the young RDFZ student! We look forward to hearing more about Emily’s accomplishments as the LPGA seasons continues throughout the year.